Need to get rid of that old garage or simply want to replace it with something upgraded? It doesn't need to be a hassle! Just call the best demolition contractors in Atlanta. We will handle any project, no matter the size of it: big, medium, small we like demolishing anything that needs to be taken away. Not only that, but we always make sure we clean up our act as soon as the structures have come down. Since garages tend to be in residential areas, one of your concerns may be what will the neighbor say. Well...we take everything into account when working on a demolition project and so far, we haven't had any issues what so ever with surrounding buildings and people. That is because we are very discrete about everything we do, while following every safety protocol to the very last letter. We will not put your home, or your neighbors home in any risk of being damaged. Even when we come in with the large bulldozers and take the debris away, it will all be done in a very sound and professional way without disturbing the peace. Regarding the more detailed parts of the job (like the garage door and the windows) we have some experts that will use trimming & sliding techniques to remove them. Also, we will pay attention to any water or electric lines running through. All power will be shut down of course, before any demolish work starts. We will always be in great coordination with you and anyone else responsible for your property. As soon as you are ready for us to come over and review the project on site, you can give us a call or fill in one of these little cute forms we have. We will then come out to your property and give you an estimate on both the completion time frame and the budget required to take care of the job. If you are planning on demolishing more than one garages, make sure you let us know as that will get you a much better deal. Also depending on how detailed work you want us to do (whether that will include the debris cleanup or not) you can save a good chunk of change. Make sure you've spoken with us first, before you decide on anything. There are many ways where we can merge different services in one very nice package so that you can afford it. We are always ready to take calls and visit sites so don't be afraid to pick up the phone and dial, even if it's on the weekends. If for some reason you need to come to our offices to have a more thorough meeting in regards to the project, we can do that too. 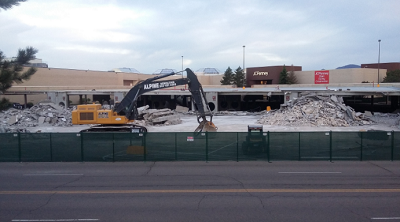 Since you got started with the demolition process don't stop now. 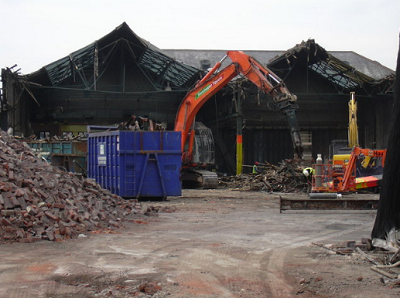 If you got other demolition work you need done, let us know so again we can quote you something more affordable. It only makes sense to stick to one demolition company in Atlanta for all your deconstruction needs. So we are going to give it our best, to make sure it makes financial sense to you and to make sure we aren't being overpriced or ridiculously way out of your budget.